Seaford incorporating Alfriston and East Dean Surgeries. We personally strive to provide high quality health care for all our patients within the framework of NHS primary care. Our aim is to provide excellent primary care in a relaxed, comfortable and welcoming environment. We have a wonderful team of staff whom we value enormously as we do our patients. 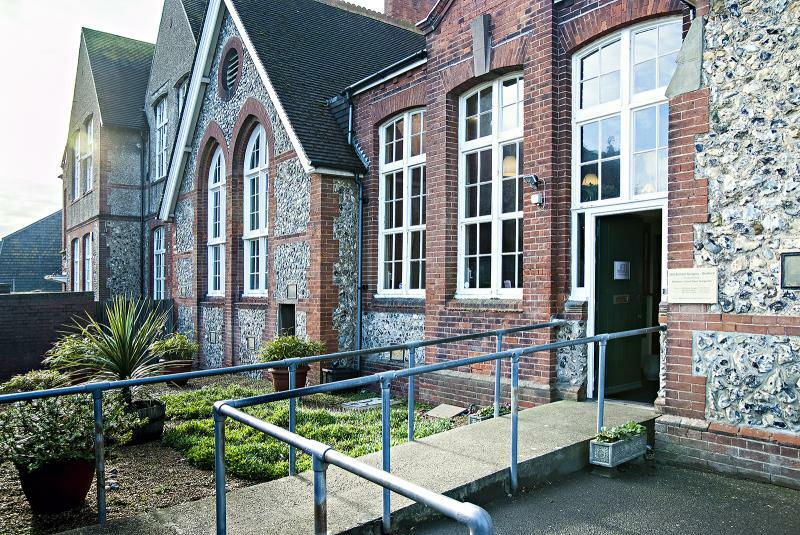 Our practice was established in May 1997 when we moved from Westdown Road Seaford into the Old School building which was formerly the local primary school for many years and holds childhood memories for many of our patients. Alfriston Surgery is a dispensing surgery,dispensing to both Alfriston and East Dean patients. We have seven GP Partners who are assisted by other regular doctors working at the practice and supporting them in the provision of healthcare for our patients. Our premises are not purpose built however we do provide wheelchair access as far as possible. We will assist all patients as necessary should these not meet their needs. We do not have the privilege of patient parking facilities however we do try to keep two car parking spaces at the front of the building for our disabled patients as a drop of point this is not solely designated disabled parking.